Hello everyone, and welcome to The Student Switchboard! For those of you who don’t know me already from my original blog Allsorts and Anecdotes, and YouTube channel, my name is Lynsey! I’m a twenty something year old social media and YouTube addict from Scotland, who loves to talk, tweet, drink tea and wear a lot of winged eyeliner. 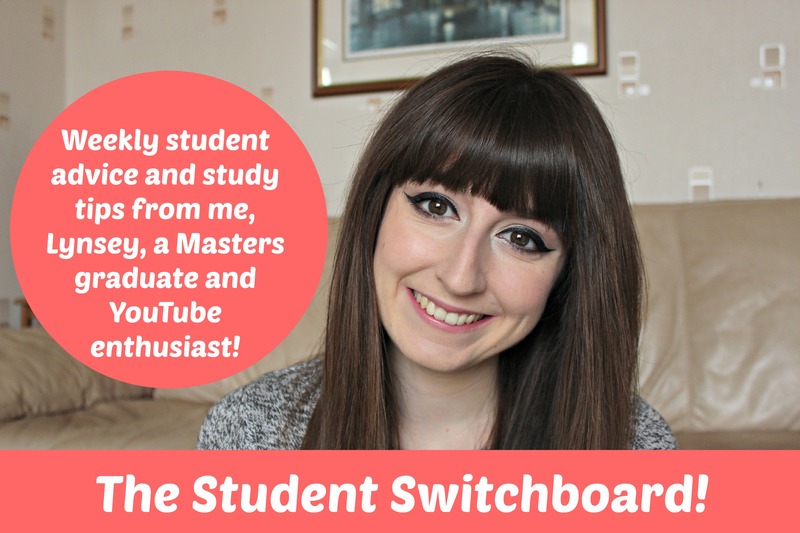 Last month I decided to embark on a new little online project called The Student Switchboard. I’ll just put it out there right away – I LOVED being a student. And not just in a “the student lifestyle suits me” kind of a way; I genuinely love learning, and studying is something I got so much out of. I left high school and went off to Glasgow University to start what was the amazing next chapter of my life! I graduated with an MA Honours Degree in Film and Television Studies in 2011, having had four of the best years of my life to date. I made some incredible friends, wrote about some amazing films and shows, read some amazing books and gained confidence in leaps and bounds. I was a shy teenager, and University made the biggest difference to my self-belief and brought me out of my shell. Then I graduated and things all got a bit more complicated. I managed to graduate in the midst of the recession, at the toughest time to be in the market for a job, and getting an interview never mind an actual job was proving to be near impossible. It was made harder by the fact I wasn’t entirely sure what it was that I wanted to do – all I knew was that I really loved social media. So I did the only thing there was to do – I got myself some work experience, working unpaid internships and doing freelance bits and pieces (that’s where my love of blogging and YouTube really came in handy!). Then, at the beginning of March 2013, I took the plunge and jetted off to Australia for two months, travelling via Hong Kong, and exploring Sydney, Melbourne and Port Douglas. It was one of the scariest, best things I’ve ever done. I vlogged the trip, which you can see on my original YouTube channel here! 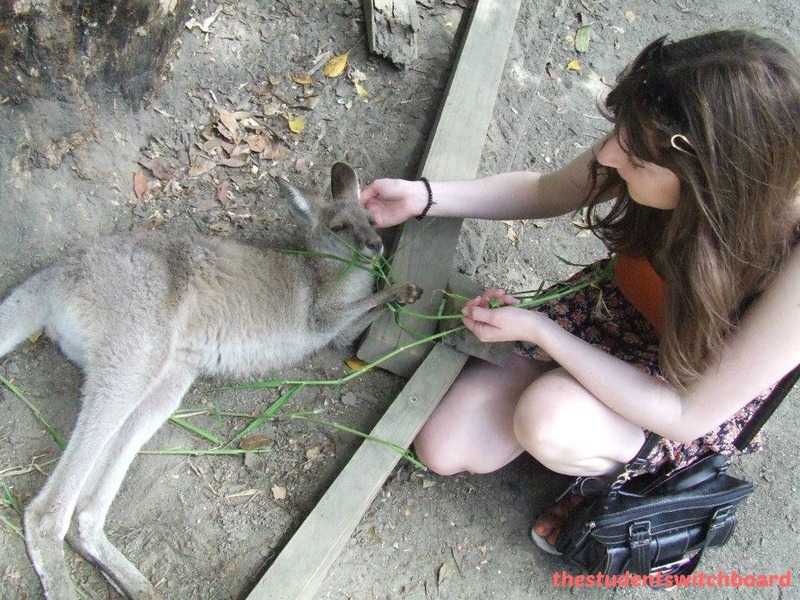 Chilling with my kangaroo friend in Port Douglas, Queensland! 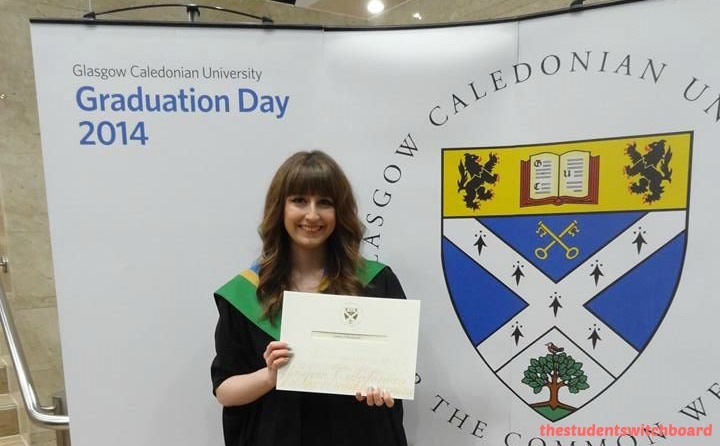 So, in August 2013, I applied to Glasgow Caledonian University to study my Masters Degree in International Marketing, and I never looked back. Last year was one of the busiest, and most intense years of my life, and I learnt so much, so quickly. I loved being back at University, wrote a dissertation I was extremely passionate about, and I graduated last November with Distinction. It was an amazing day. Obligatory pose on graduation day! Fast forward to last month – January 2015. I was thinking about how much I loved being a student, and all the tips and tricks I learnt along the way, and it occurred to me that I hadn’t ever seen a dedicated YouTube channel, solely set up to chat about all things college, university, and student life. Being a student comes with a lot of practical and emotional ups and downs – from the costs of buying books, to finding productive ways of studying, to settling in after the transition from high school. Having been through it all twice, and having the passion for YouTube I already have, I decided I was going to start a YouTube channel to do just that – to discuss any possible topic that could apply to student life. And I’m really, really excited about it!! So, a month later, here we are! 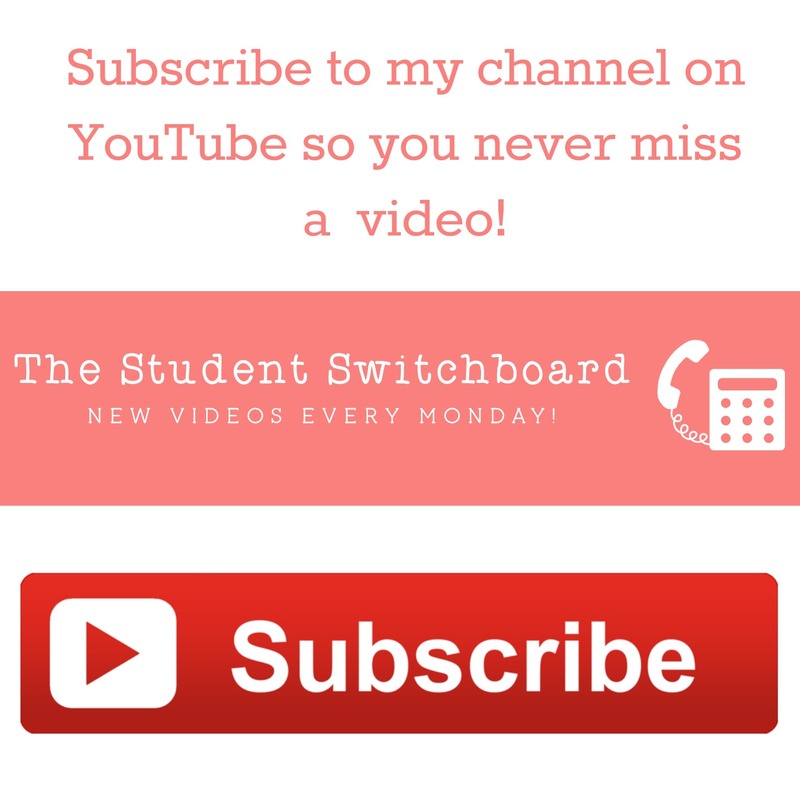 The Student Switchboard is live, with two videos for you to check out, and all social platforms ready and raring to go! I’ll link them all at the end of this post for you to check out. Thank you so much for stopping by, and please leave me a comment letting me know what you’re studying, or if you can think of any topics that might be useful for me to cover – I’m all ears! And if you’re interested, you can follow this blog at the link below, or subscribe to my channel so you never miss a video! Hi Linsey! I’m super excited to see this blog and channel! I wondered if you’d do something like this eventually! Psychology is a great subject, I’ve loved the whole degree – even the bits I loathed like statistics aren’t so bad in hindsight. And I adore research, which scares the life out of me (never saw that coming!). I’m hopefully going to be going into combined Honours/Masters later this year, so I’m super keen to hear all about your Masters experience! (I know you’ve mentioned it on your channel a couple of times).